Studiometry 12 is finally here! This huge update adds a ton of great new organizational features plus Studiometry Cloud syncing! Studiometry 12 is available today for download and purchase. As always, new users and users of previous versions can take advantage of our free 30-day trial. Upgrades from Studiometry 11.x start at $59.95 USD per license, while upgrades from 10.x or older are $125 USD per license. Also be sure to check out Studiometry Cloud and the new Studiometry Touch. This looks great guys, congrats on the new products! At lot of great new features, but weak on the one I've been waiting a long time; Sub-Task functionality. 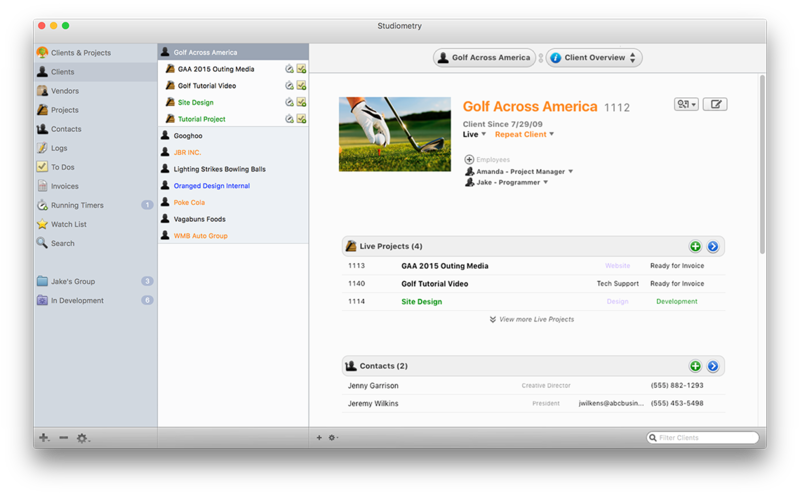 Task Management is one of the key, basic features of any system like Studiometry. However, there is a lot of work to be done here. It is not possible to see the relationship between tasks and sub-tasks (to dos) in the Planning Window! This is a major gap as this window is the main area a user would manage To Dos from when in a certain phase of a project. There is also no way to sort or reorder To Dos in the Planning Window, so it becomes very cluttered with a mix of complete and incomplete items side by side. It does not seem to be possible to add sub-tasks to tasks in the project templates. Also, task status has been overlooked which is a very basic requirement e.g. show all tasks not started, waiting for approval etc.. This is just a small database addition with changes to screens to sort and filter by status. This is the one area where Studiometry falls down for me. Improve it and not many products could compete! @Atrigg Thanks for the feedback! We'd be glad to work on improving those aspects of the new subtask functionality. We've added these as requests and we plan on getting several of them into a Studiometry 12.0.x update.